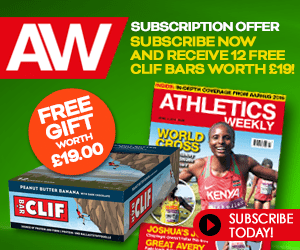 Eliud Kipchoge showed again why he is the No.1 marathon man in the world right now – and perhaps of all time – when he won the BMW Berlin Marathon on Sunday. The 32-year-old Kenyan owns the fastest marathon time in history, the Olympic title and here in Germany he clocked 2:03:32 to beat a star-studded field. 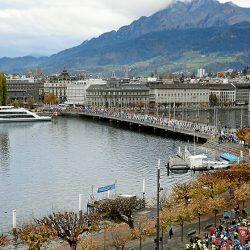 In rainy conditions there was no world record and the anticipated head-to-head with Wilson Kipsang and Kenenisa Bekele did not materialise as the two big names dropped out before 35km, but Berlin still saw a terrific race as Kipchoge withstood the challenge of the relatively unknown marathon debutant Guye Adola of Ethiopia. Adola, 27, went into the race with a half-marathon best of 59:06 from Delhi in 2014 but has found his best distance now as he ran the fastest ever debut marathon of 2:03:46 to finish runner-up. 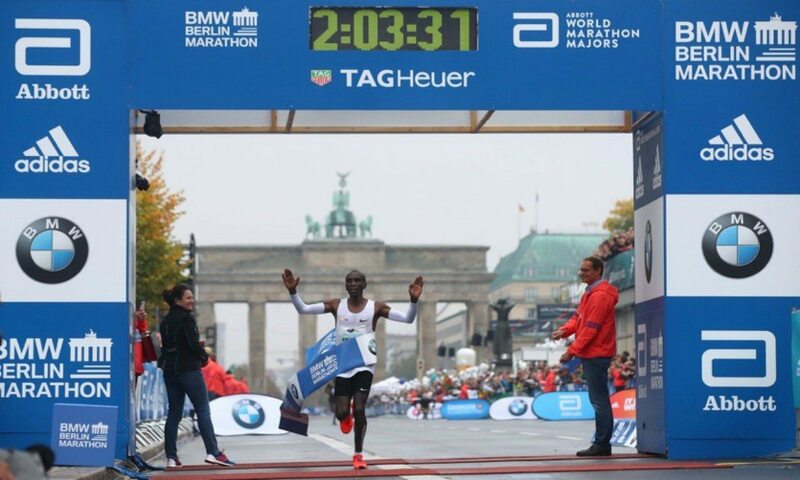 Ultimately Adola finished 100 metres behind Kipchoge as the runners charged toward the finish at the Brandenburg Gate under leaden skies, but just 2km earlier the Ethiopian was poised to cause a huge surprise as he led Kipchoge by around 10 metres. Maintaining his composure, Kipchoge reeled Adola back before surging clear himself with 1km to go. Behind, Kipsang and Bekele were nursing their bruises. 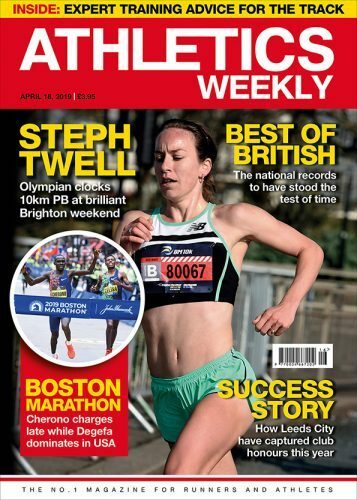 Former world record-holder Kipsang abruptly stopped at 30km, while Bekele was dropped as the pack passed halfway in 61:29 and the world 5000m and 10,000m record-holder battled on for a while before pulling out. Heavy overnight rain, mid-race showers, chilly conditions and high humidity put paid to a world record attempt. 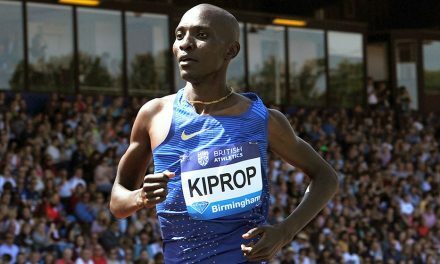 Kipchoge had clocked an incredible 2:00:25 at Nike’s Breaking2 event in Monza in May but the athletes were attacking the official world record of 2:02:57 set by Dennis Kimetto in Berlin. 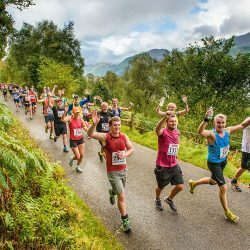 The early pace – 29:04 at 10km – saw the runners on course for a mid-2:02 run and a world record, but they faded slightly as the race unfolded. Still, Kipchoge’s time would have been a world record as recently as 2013, while Adola went No.7 on the world all-time rankings as he beat Ayele Abshero’s world record debut performance of 2:04:23 from Dubai 2012. The race coincided with the national election where German chancellor Angela Merkel was looking to secure a fourth term in office. Merkel was a strong favourite to succeed, as was Kipchoge, with 59% of people picking him to win in an AW online poll compared to a mere 15% going for Kipsang and 15% for Bekele. 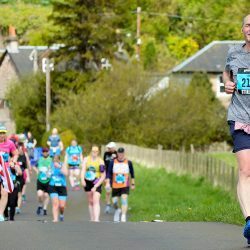 The marathon is an unpredictable event and there were surprises galore with a number of drop-outs, but Kipchoge has now built an incredibly consistent record with victories in nine of his 10 marathons and the only defeat coming against Kipsang in 2013 when he ran 2:04:05 behind Kipsang’s world record of 2:03:23. In the ongoing battle of the shoe brands, too, Nike came out top with Kipchoge winning but Adola was close behind wearing adidas’ new adizero Sub2 shoes and the latter brand has held the world record for the past decade. Berlin is a popular race for Brits and Jonny Mellor was the top performer with a breakthrough run of 2:12:57 for 10th overall. 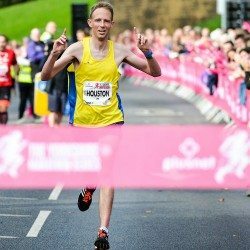 The 30-year-old Liverpool Harrier has a PB of 2:16:52 from a couple of years ago and ran 2:18:48 in London this year, so he smashed his best and pretty much guaranteed Commonwealth Games selection. Mellor passed halfway in 65:47 with fellow Brit Matt Sharp of Enfield & Haringey and Scott Overall of Blackheath & Bromley Harriers going through in 66:40, while Kevin Seaward of Cardiff went through in 67:55. Sharp smashed his 2:17:45 PB with 2:16:02, but Overall, who enjoyed a breakthrough 2:10:55 PB on this course in 2011, failed to finish after having struggled with Achilles problems during the build up. 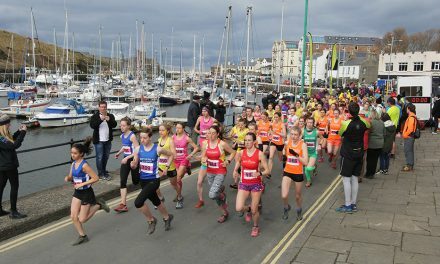 Seaward, meanwhile, ran 2:15:50 in an attempt to gain Commonwealth Games qualification for Northern Ireland. Gladys Cherono won a women’s race that was largely overshadowed by the hype of the men’s race. The Kenyan clocked 2:20:23 as Ruti Aga of Ethiopia was runner-up in 2:20:41 and Valary Ayabei of Kenya third in 2:20:53 and Helen Tola of Ethiopia fourth in 2:22:51. “After I was injured last year and had two successive stress fractures, this is a great success for me,” said Cherono. In fifth, German star Anna Hahner received much attention from the local broadcasters and as she approached the end the organisers laid out a special finish line tape for her. Hahner ran a fine 2:28:32 but a few metres to the side of her Italy’s Catherine Bertone, 45, went through a separate finishing funnel in a world W45 record of 2:28:34. A further minute behind, Britain’s Sonia Samuels clocked 2:29:34 for seventh overall. 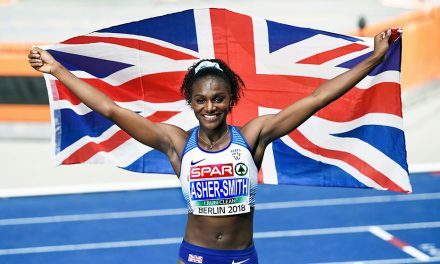 In the early stages she was on course to match her PB of 2:28:04 and went through halfway in 74:03 but slowed slightly in the final stages to break 2:30 for the second time in her career. 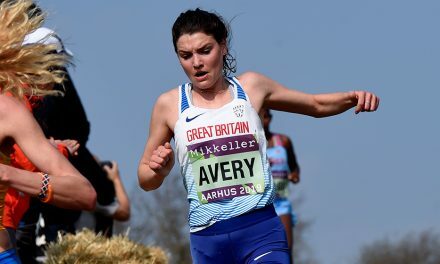 Fellow Brit Lily Partridge was unable to build on her promising Seville Marathon debut from earlier this year. She went through halfway in 75:12 but did not finish. When it came to DNFs, though, it was that kind of day and she was hardly alone.